Experts say there were similarities in the Ethiopian Airlines and the Lion Air crashes. What were they? 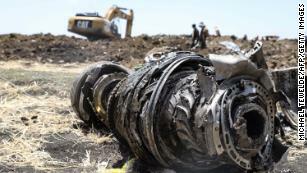 (CNN) When the Federal Aviation Administration announced it was grounding all Boeing 737 Max planes, the agency said it had identified similarities between last week’s Ethiopian Airlines crash and the Lion Air crash in Indonesia six months earlier. Boeing’s website says the 737 Max is the fastest-selling plane in the company’s history, with about 5,000 orders from more than 100 customers worldwide. The planes were equipped with automated flight software called the Maneuvering Characteristics Augmentation System (MCAS), a relatively new feature to Boeing’s Max planes. Jean-Paul Troadec, the former head of France’s aviation accident investigation bureau, told CNN that he saw flaws in the system. Boeing CEO Dennis Muilenburg said Monday a software update and related pilot training for the 737 MAX will be released “soon” and will address concerns discovered in the aftermath of the Lion Air crash. A preliminary report by Indonesia’s National Transportation Safety Committee said the crew of Air Lion Flight 610 struggled to override the plane’s automatic systems in the minutes before it plunged into the ocean. 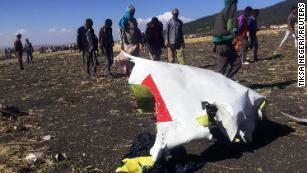 The system pulled the plane’s nose down more than two dozen times, the report said. CNN’s Veronica Stracqualursi, Thom Patterson, Anna Cardovillis, Kara Fox and Dakin Andon contributed to this report.